Here’s one of those golden oldies that’s really an oldie. Lloyd Price’s version of the popular traditional folk song about how Stagger Lee (aka Stagolee, Stag Lee Shelton, Stacker Lee, and other numerous variations) shot William “Billy” Lyons in St. Louis, Missouri. The song was first published in 1911 and first recorded in 1923 by Fred Warin’gs Pennsylvanians .Over the years, there have been many versions, including ones by Ma Rainey, Mississippi John Hurt, Woody Guthrei, Sonny Terry, Bob Dylan, Huey Lewis and the News, Wilson Pickett, Neil Sedaka, Neil Diamond, Jerry Lee Lewis, Johnny Rivers, Pete Seeger, Amy Winehouse, and the list continues. 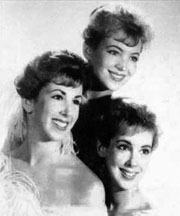 Price’s version went to #1 on the Billboard Hot 100, #1 on the R&B Chart, and #7 in the U.K. in 1959. Price was born in Kenner, Louisiana, on March 9, 1933. He has been a singer, songwriter, bandleader, record executive, and entrepreneur. 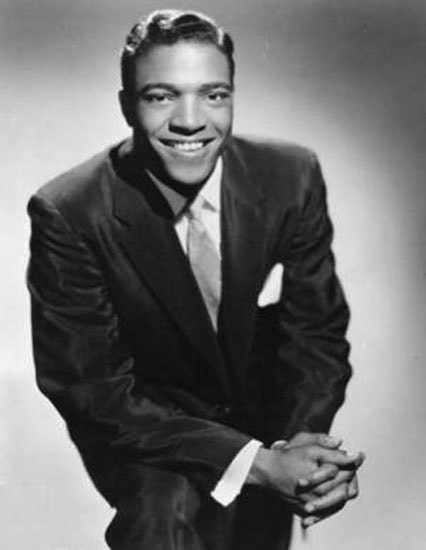 Besides “Stagger Lee,” Price had national charting success with “Lawdy Miss Clawdy,” “Personality,” “I’m Gonna Get Married,” “Question,” “Misty,” and many more. He manages Icon Food Brands, which makes Southern-style foods and has a Lawdy Miss Clawdy line of products. In 1998, Price was inducted into the Rock and Roll Hall of Fame. And he stood across the ballroom door. And it broke the bartender’s glass. Very interesting history – thanks. I didn’t know it was so old and the only version I’ve ever heard is Price’s. My wife’s mother was a fan of Fred Waring & the. Pennsylvanians. 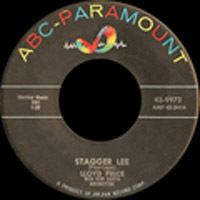 My Lloyd price 45’s include “Stagger Lee”, “Personality” and “Where Were You on Our Wedding Day”.